This is a single seat in a great location. 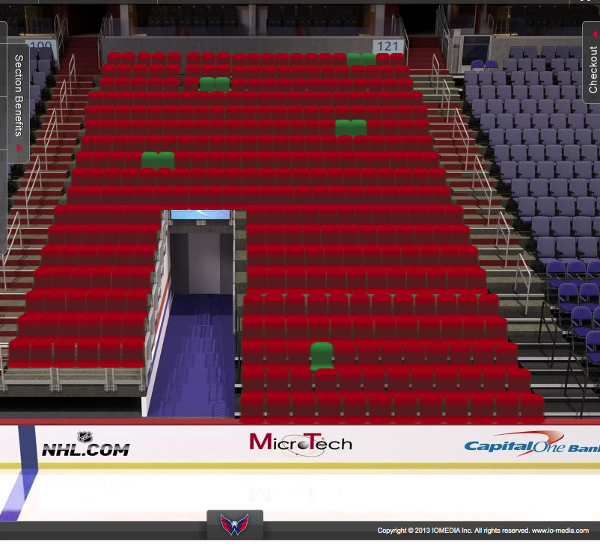 It is 4 seats away from the Cap's tunnel and bench. And it's only the third row off from the ice. So you can see it all...the action on the ice, players' slamming against the wall, great view of scoring and defense, you can also see the team interact on the bench as well. I just got this season ticket, so I have only a few games I would like to keep and the rest I am flexible. However, I can't attend any Tuesday games because of work. So if you buy some Tuesday games, I will sell them $20.00 below season ticket holder cost. Payment would be 50% within 2 days of an accepted offer with the balance due upon delivery of the tickets.